JAMESTOWN — A structure fire at a vacant property early Friday proved difficult for city firefighters. 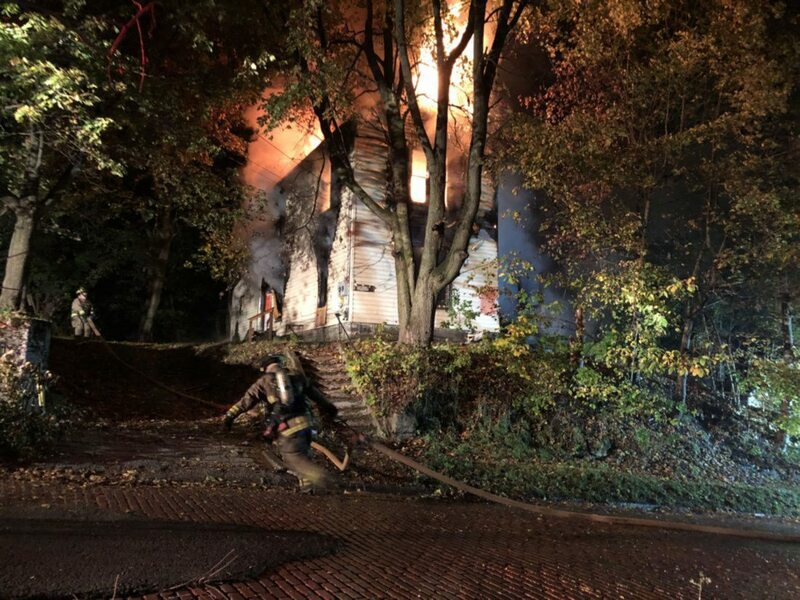 The blaze on Whitley Avenue was found before 4 a.m. Off-shift firefighters were called to assist, which proved necessary due to the property’s location set off the street on top of a small plateau of land. Crews were forced to spray water from odd angles in an attempt to douse the vacant structure, also covered by trees on multiple sides. At one time, the department forced its ladder through a tree to spray water onto the property. A portion of Fairmount Avenue was closed to traffic in order for crews to connect a hose to a hydrant more than a block away. It’s the second time firefighters were summoned to the location in as many months for a blaze. The fire also caused the closure of Route 394 in both directions around 4:30 a.m. The road was reopened before 9 a.m. Friday.